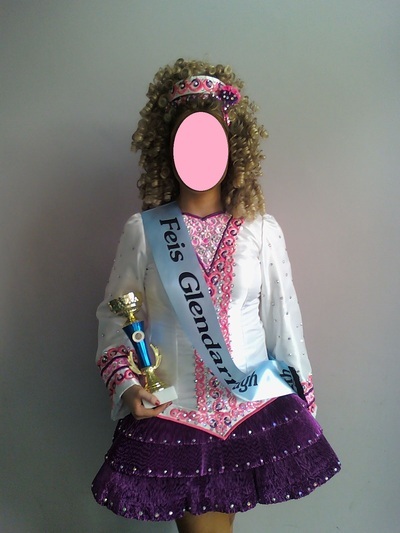 In very good condition, this Championship level dress has excellent stage presence and would be suitable for age range 15 to 16 yrs plus. The bodice is made of white satin sheen with bubblegum pink neck insert and pink embroidery with purple definition down the front which is studded with Swarovski AB stones. The softly layered, modern crimped pleated skirt in purple has a very attractive shine under stage lights and is very lightweight. 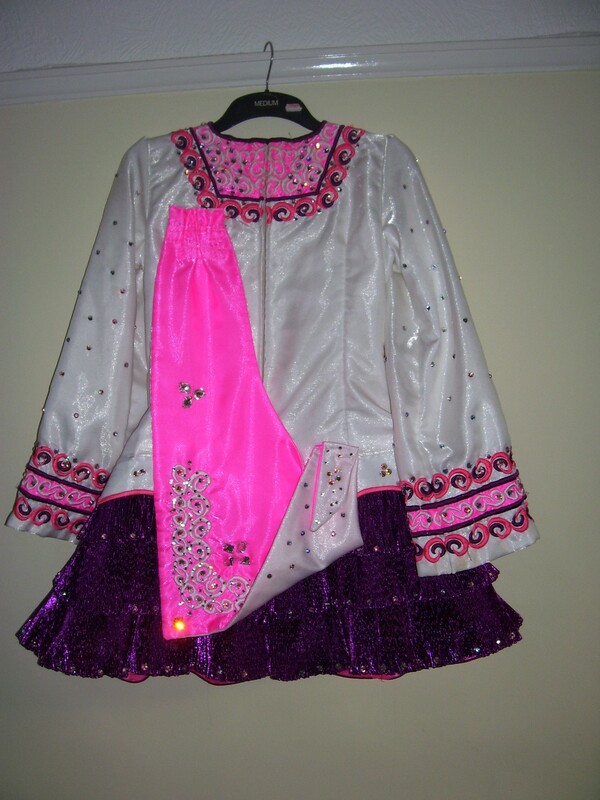 Under the skirt are layered frills in bubble gum pink. 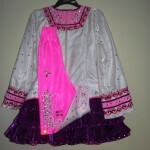 The shawl is also bubble gum pink with Swarovski stones.